"As a litigator and trial lawyer, I believe the Firm's values – Integrity, Caring, Effectiveness, Teamwork and Commitment – help create a better future for our clients." Tony Carballo is a Partner in the Firm's Litigation Practice Group and is Co-Leader of the Commercial Litigation Team. Tony concentrates his practice in complex civil and commercial disputes before trial and appellate courts and arbitration panels throughout the country. With more than 30 years of experience, Tony is an accomplished trial and appellate lawyer, having tried hundreds of cases before judges and juries and represented clients in appeals in state and federal courts. His litigation experience covers areas involving breach of contract, fraud and other business torts, breach of fiduciary duty, employment litigation, unfair competition, defamation, intellectual property, class action litigation, real estate and construction litigation, professional malpractice, transportation litigation, environmental litigation, insurance coverage litigation and white collar criminal defense. He has handled hundreds of multi-million dollar litigation matters and has tried numerous jury trials to verdict. 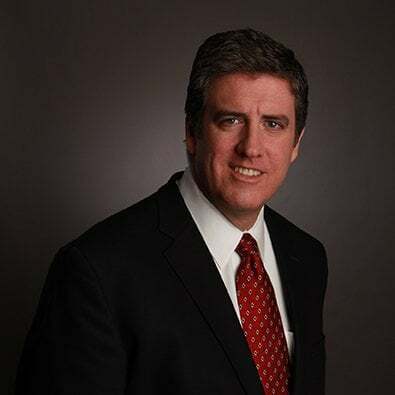 Tony also has arbitrated and mediated many cases and has extensive experience in corporate investigations, corporate counseling and risk management. In addition, he has represented clients in administrative proceedings and in appeals before state and federal appellate courts. Before joining the Firm, Tony served as an Assistant State's Attorney in Cook County, Illinois for eight years. While serving as an Assistant State's Attorney from 1986 to 1994, he prosecuted more than 40 felony jury trials and hundreds of bench trials in the Criminal Prosecutions and Special Prosecutions Bureaus of the State's Attorney's Office. He also presented numerous briefs in the Illinois Appellate and Supreme Courts, and in the U.S. Supreme Court. Tony has been recognized by his peers as a "Leading Lawyer" in the area of Commercial Litigation. Tony is a frequent author and speaker on topics relating to complex civil litigation. He is a member of the Firm's Food Industry and Transportation Industry Teams, and has served on the Firm's Professional Review Committee for several years. Defeated at the summary-judgment stage claims of a conspiracy to defraud where the plaintiff was seeking damages in excess of half a billion dollars. Successfully represented corporations in class action litigation involving employment law violations, environmental contamination and nuisance and trespass. Obtained the dismissal of a sexual harassment lawsuit brought against several supervisory Chicago Police Officers in federal district court. Successfully represented licensed professionals in administrative proceedings before the Department of Financial and Professional Regulation. Successfully defended corporations on numerous wrongful death and other serious personal injury and property damage claims. The Chicago Daily Law Bulletin recently recognized Partners Jeffery M. Cross and Anthony J. Carballo for their efforts in sponsoring and spearheading a Lawyers United for the Homeless fundraising event at the firm in September. Anthony Carballo, a Partner in the Firm's litigation Practice Group, was recently sworn in as a trustee to the Lisle Village Board, as reported by mysuburbanlife.com. Anthony J. Carballo, a Partner in the Firm’s Litigation Practice Group, participated in a recent panel discussion on men as mentors and was quoted in the article, “Men offer mentor perspective." On March 1, 2012 – Freeborn & Peters LLP is pleased to announce the formation of the Firm’s Food Industry Team to assist its food industry clients and other food companies in addressing the industry’s complex legal and business challenges.